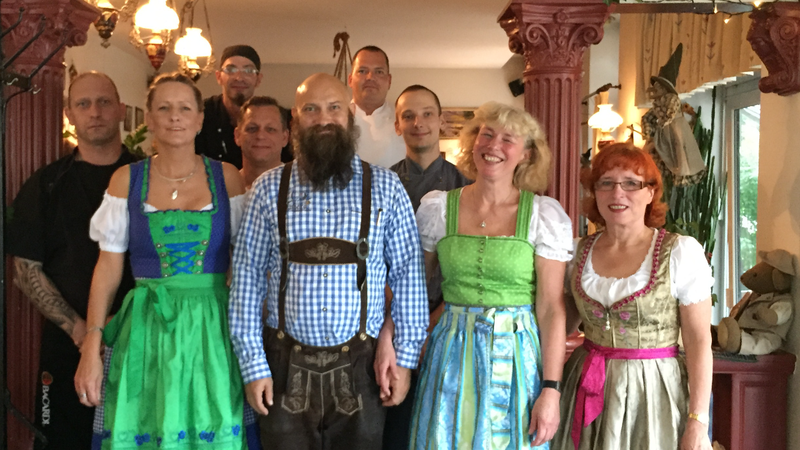 Our place is a very cosy restaurant, which offers the typical ‘Bavarian Beisl’ atmosphere. You can relax after a long sightseeing day or an exausting working day. We do offer absolutely fresh, hand made dishes of your choice. We opend up at August, 3rd 2005 and since then we are happy about more and more guests Our guests do live in Berlin or come from all places abbroad. We are delighted to note that many tourists visit our restaurant. By the way: With all our guests we will celebrate the birthday of ‘Zur Haxe’ on the 3rd of August. Come and celebrate with us. Our team consist of not-so-young people – that might be the reason why we do have guests of all generations. We do work in a family business and we very much like to take our guests in to that familar atmosphere. Please bring cash. We do not take credit card !!! !